The meeting will be arranged for those groups who deliver psychiatric services within defined geographical areas, and the aim is to find forms of treatment of psychotic crises that reduce the use of hospitalization and medication. 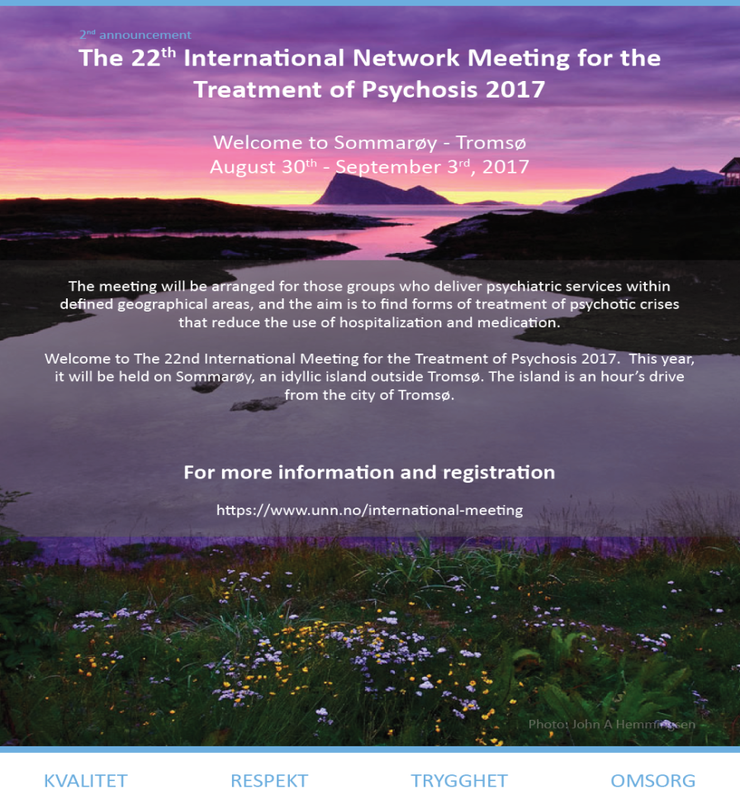 Welcome to the 22nd international Meeting for the Treatment of Psychosis 2017. This year, it will be held on Sommaroy , an idyllic island outside Tromso. The island is an hour’s drive from the city of Tromso.